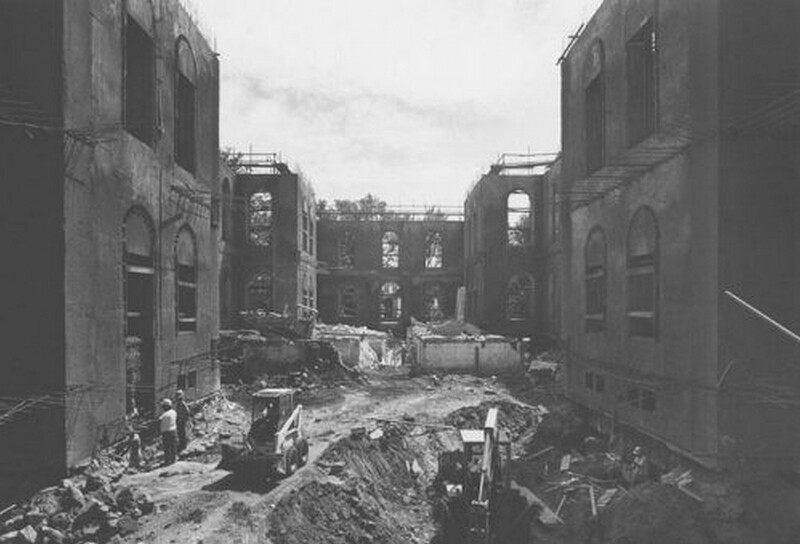 This interior shot shows the Nevada State Capitol Building being reconstructed in 1978. This multi-million-dollar job involved gutting the building, right down to the stone walls, and rebuilding a modern interior with steel and concrete. This was done because the Capitol was becoming structurally unsound, and the alternative was to demolish the building.